The Environmental Protection Agency gets a new leader next week. Andrew Wheeler will take over as acting administrator. Of course this is because Scott Pruitt resigned yesterday amid many allegations of ethical violations. We'll get a chance to chat about that in a moment. But first, let's take a look at Wheeler. As NPR's Rebecca Hersher reports, he brings far more experience to the job than his predecessor. 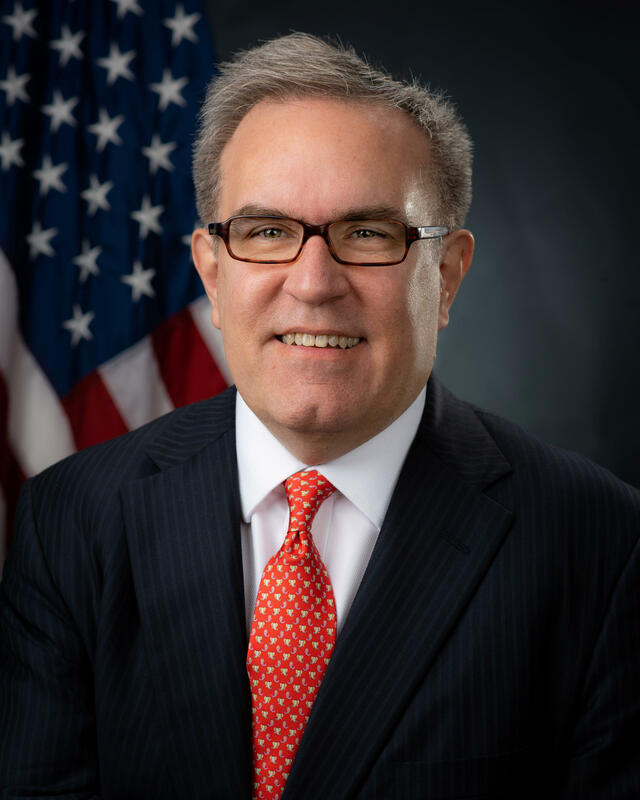 REBECCA HERSHER, BYLINE: When Andrew Wheeler was fresh out of law school, he got a job at the EPA - special assistant in the agency's Toxics office. He helped write rules about how much information chemical companies disclose to the public. And after a few years, Wheeler did what many young environmental lawyers hoped to do. He landed a job in Congress, working for the Senate committee that oversees the EPA. SCOTT SEGAL: Well, I've known Andy a long time. HERSHER: Scott Segal is a partner at the law firm Bracewell LLP. SEGAL: He is not an accidental administrator. He is somebody who has been preparing for a position of responsibility like this really for all of his life. I mean, he is a student of environmental policy. HERSHER: Over the years, Wheeler has helped draft regulations on tons of major environmental issues - toxic waste, air and water pollution, climate change. And in many cases, he's worked to decrease the power of the federal government to regulate industry, blocking or weakening rules about chemical factories, refineries and manufacturers. At his Senate confirmation hearing, Senator Ed Markey of Massachusetts asked Wheeler what he thinks about climate science. ED MARKEY: Do you believe human activity is driving the temperature increases on the planet? ANDREW WHEELER: I believe that man has an impact on the climate, but what's not completely understood is what the impact is. HERSHER: The overwhelming scientific consensus is that human greenhouse gas emissions are driving global climate change. Wheeler's position - casting doubt on the science as he deregulates industry - mirrors the broader position of the Trump administration. Segal thinks Wheeler's experience in Washington sets him up better than his predecessor to advance the Trump agenda. SEGAL: To be frank with you, I don't think we'll see the kinds of personal issues that bedeviled the last administrator. He is a consensus builder. HERSHER: Even some Democrats are cautiously hopeful. The ranking Democrat on the Senate Environment and Public Works Committee, Tom Carper, told NPR's Morning Edition it's possible Wheeler will turn a page and surprise people in his running of the agency. But environmental groups are sounding the alarm. One of their main concerns - after Wheeler left the Senate, he lobbied for years for one of the largest coal companies in the country. Bob Deans is a spokesperson for the Natural Resources Defense Council. BOB DEANS: Going from a train wreck to a house on fire doesn't give us comfort. The fact is we have an Andrew Wheeler, a former coal lobbyist, spearheading the worst White House assault in history on our environment and public health. HERSHER: Wheeler is expected to stick with the EPA's agenda of rolling back multiple Obama-era climate and pollution rules. But Deans says some of those attempts have been held up in the courts because the EPA hasn't backed up its new positions with sufficient science. DEANS: These safeguards were developed in most cases over years and with enormous amount of input from the public, from every stakeholder imaginable. And if they're going to try to take down those safeguards, the law requires that they demonstrate they have a better idea. HERSHER: Which is where Andrew Wheeler's regulatory experience may come in handy. If the EPA is to succeed with its current agenda, the devil will be in the policy details. Rebecca Hersher, NPR News. Transcript provided by NPR, Copyright NPR.